As the release of Star Wars: Episode XIII — The Last Jedi draws closer, more and more information is leaking out, and the latest “reveal” relates to the appearance of Supreme Leader Snoke, the shadowy power behind the villainous First Order: He looks exactly like we figured he would. An official trading card from Topps gives the first clear view of the Big Bad, seen in 2015’s The Force Awakens only as a bluish hologram. We can see that he has a giant scar on his head and a rather thin and drawn face. We don’t know if this is his species’ natural appearance or whether his face has been distorted by the Dark Side of the Force, as with Emperor Palpatine in the earlier films. 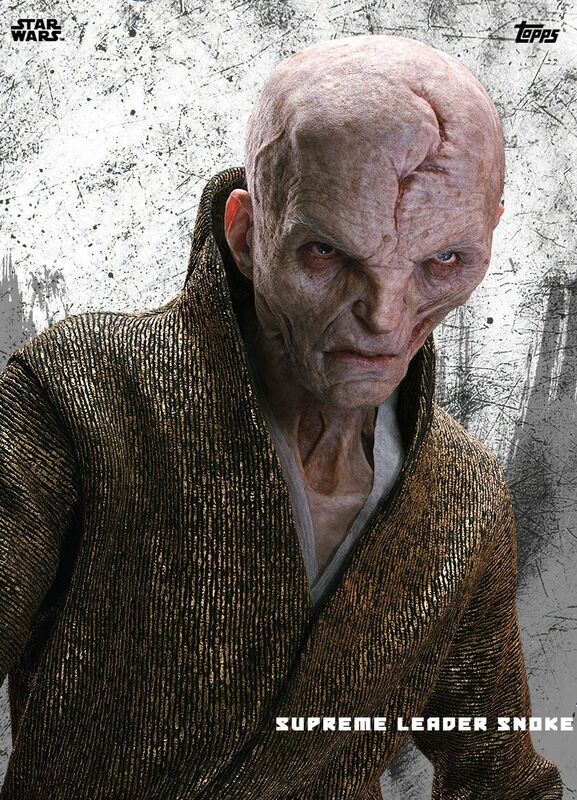 However, while his face has been drawn out of the shadows, Snoke himself will remain behind the scenes for one more movie. (This is only the middle part of a trilogy, remember.) Director Rian Johnson told Empire magazine that Kylo Ren is main villain of Episode XIII and Snoke will remain a mystery for a while longer. Brace yourselves, parents and kiddies – this could make you lose your lunch. 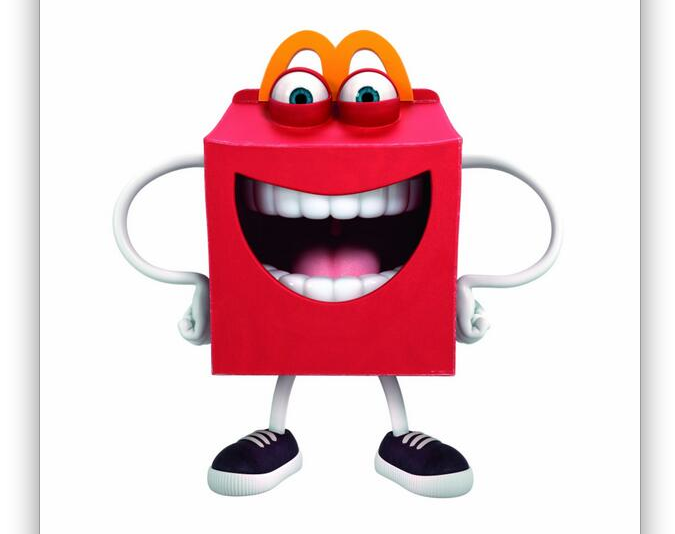 Burger-meister McDonald’s – once the home of Grimace and the Hamburgler – introduced another new mascot today, a computer-generated talking Happy Meal box called… wait for it… “Happy.” And, from its horrifying appearance, apparently his job is to make McDonald’s new “healthy” Happy Meals unpalatable to kids. Or, at least make them afraid — eat, or be eaten!